Yes, Child, I am here. Open your ears and listen. Open your heart and believe. I am trying to trust God, no matter what. Not only at times when I feel the sunshine of His Presence, but also at times when He’s covered by the stormy clouds that rage in my body, mind, or heart. I am trying to find my footing on His immovable character of goodness and love, not in my faltering feelings. I am trying to own His promises, believing He has personally given them to me and is faithful to fulfill them in His own time and way. So I felt guilty asking God for a sign. 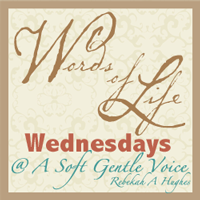 He had just gifted me with a whisper of His assurance last week, “You don’t need to understand. You just need to hold My hand. I am with you.” Just because I felt so alone that day did not mean He wasn’t there for me. He never presses something on our hearts if He doesn’t mean it. His promises are purposeful and will surely come to pass. God takes delight in us. He gladly gives us signs to show His love. He desires to calm our fears. His generosity towards us is a bottomless sea of goodness. He passionately desires to give us far more than we ask for or expect. A joyful surprise arrived for me on Saturday. 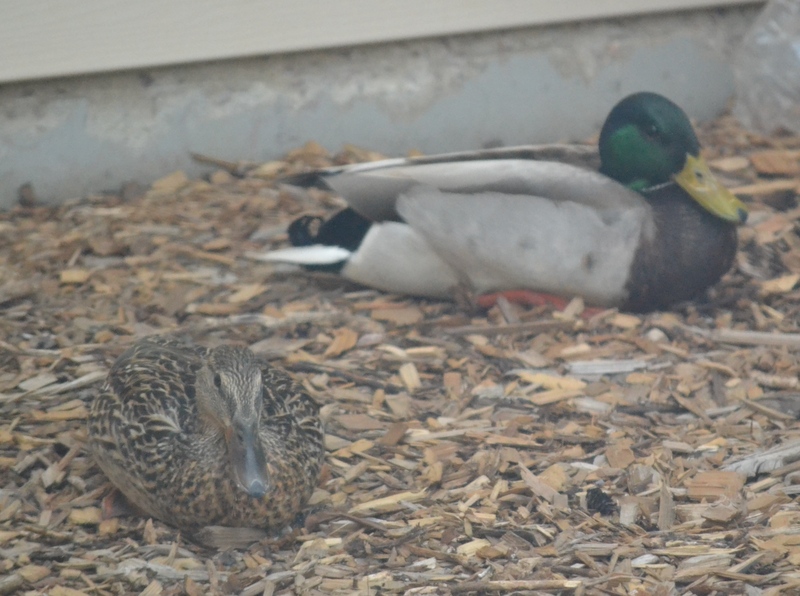 I was resting while my husband went to see if our son needed any more help with moving, and my heart nudged me to get up and look out the window. 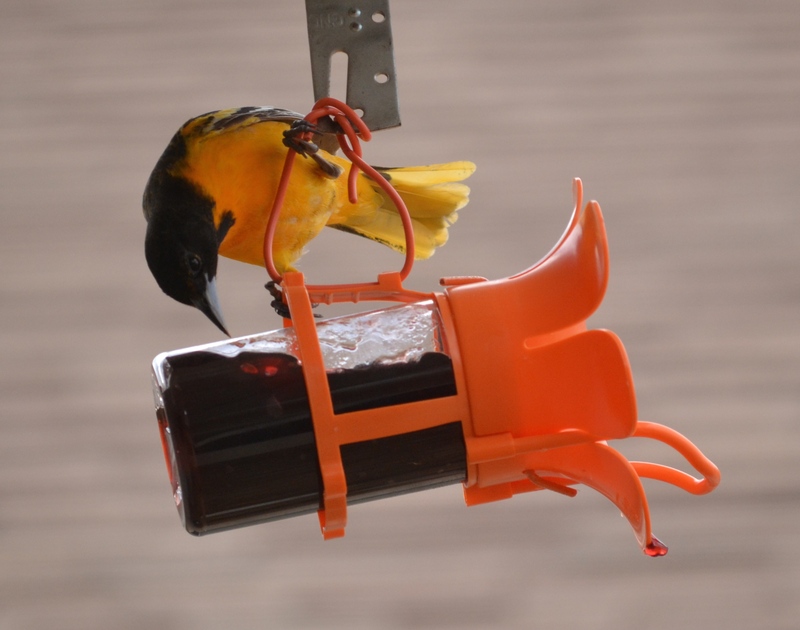 A Baltimore Oriole! 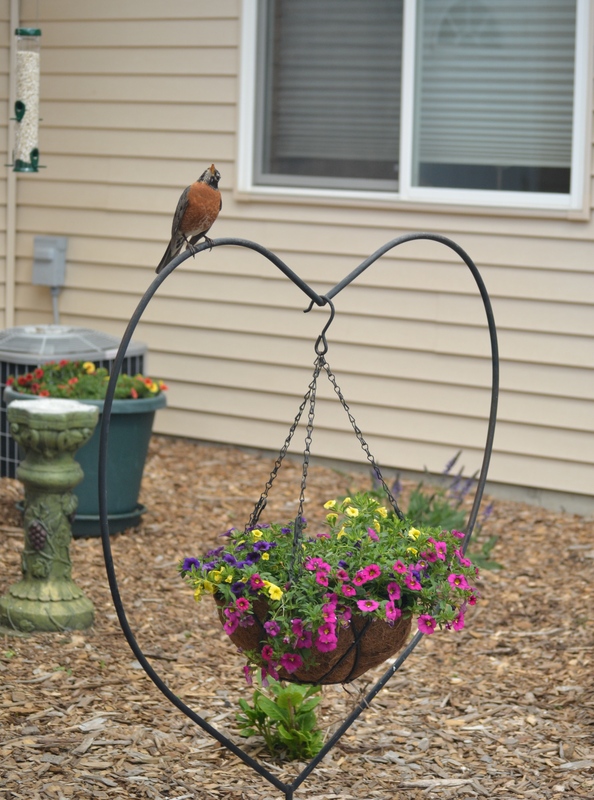 Giddy with excitement, I hurried to get some snapshots of this beautiful bird, so gloriously displaying the goodness and love of God. Thank You, God! 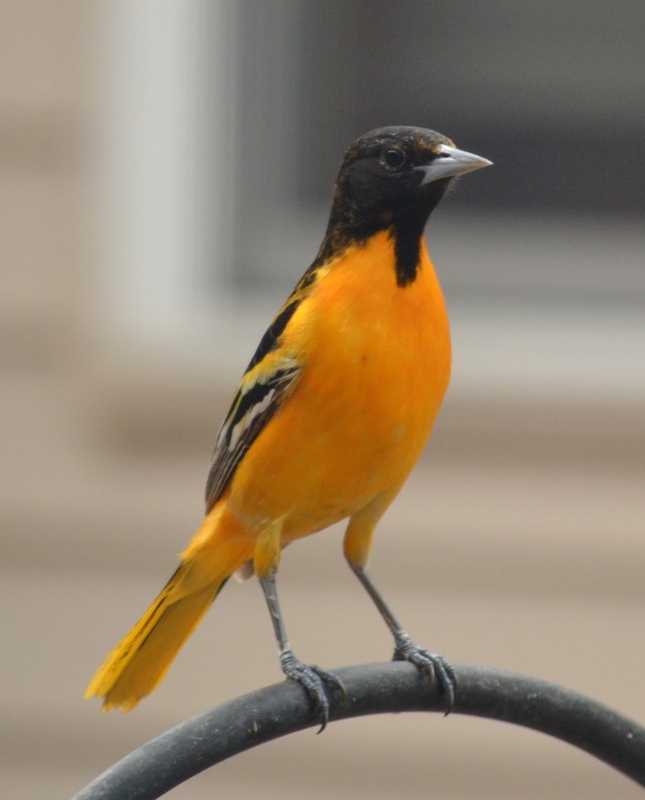 I don’t know if the Oriole will come back. I hope so. 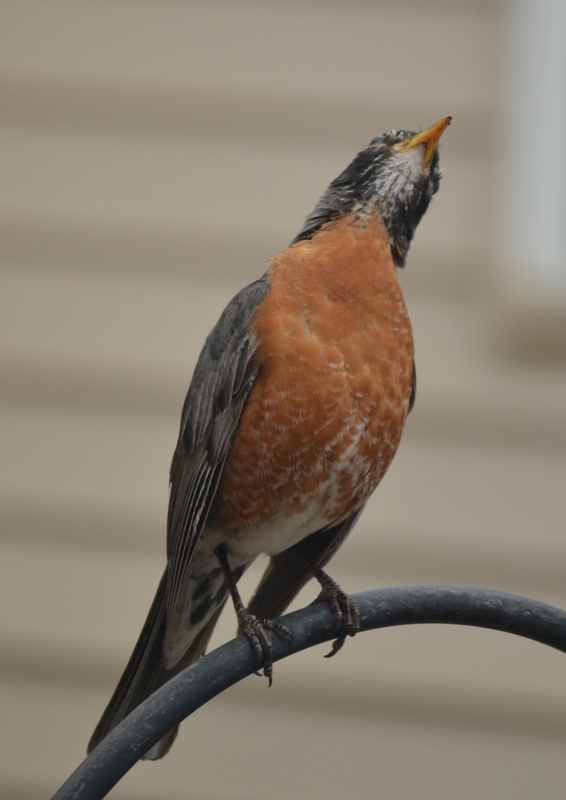 But even if he doesn’t, I will see every bird outside my window as a sign and seal of the goodness and love of a generous God. 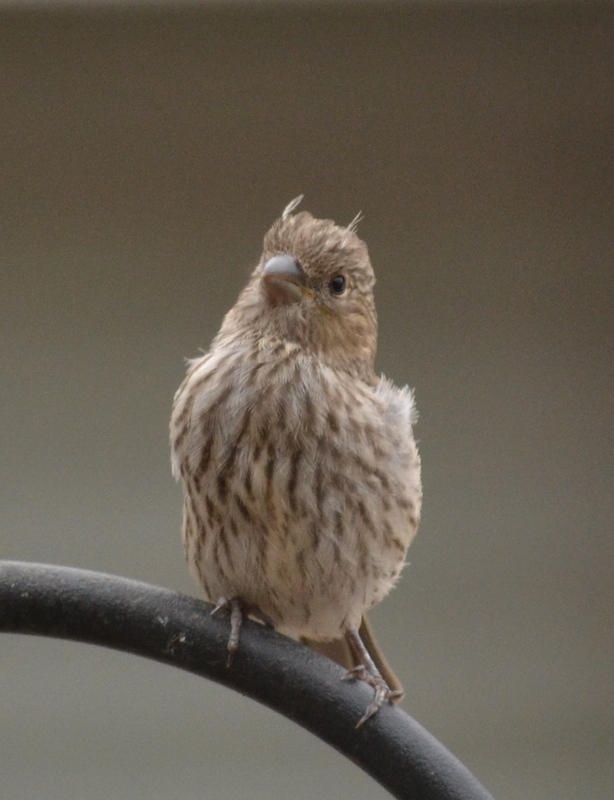 The house finches that nested outside my window have taken flight. It’s hard to believe how quickly they grow to nearly the size of their parents. surprised us with a visit. 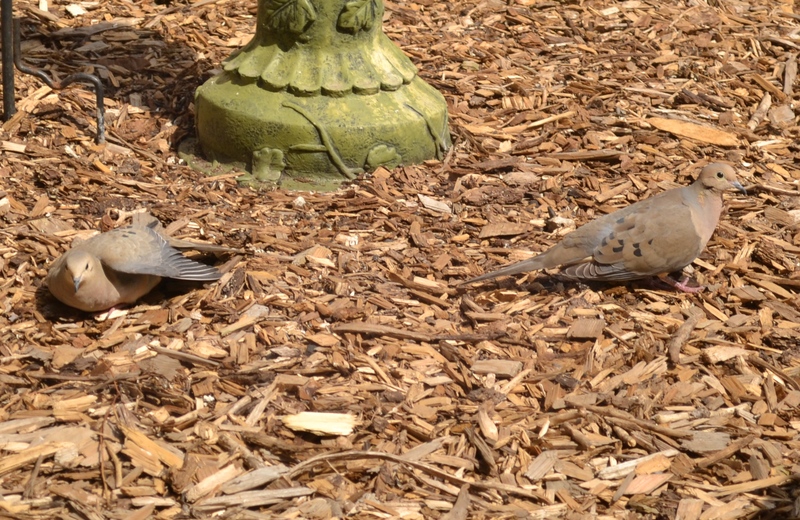 Mourning doves spread their wings to the sun, teaching us to spread our arms to the Sun and expect His blessings, because He is so willing to give them. 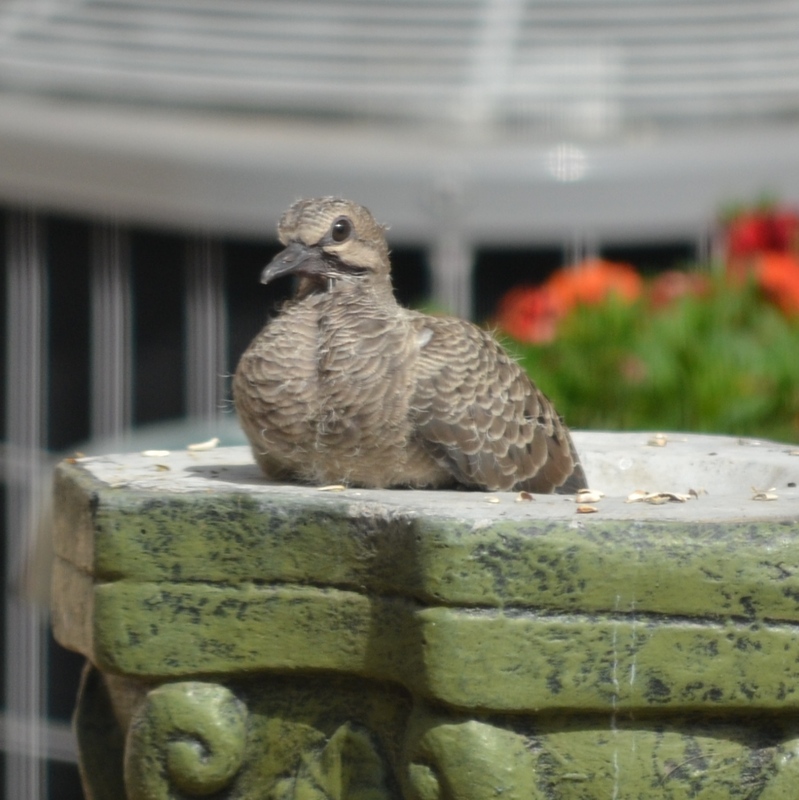 And along comes Baby Mourning Dove. 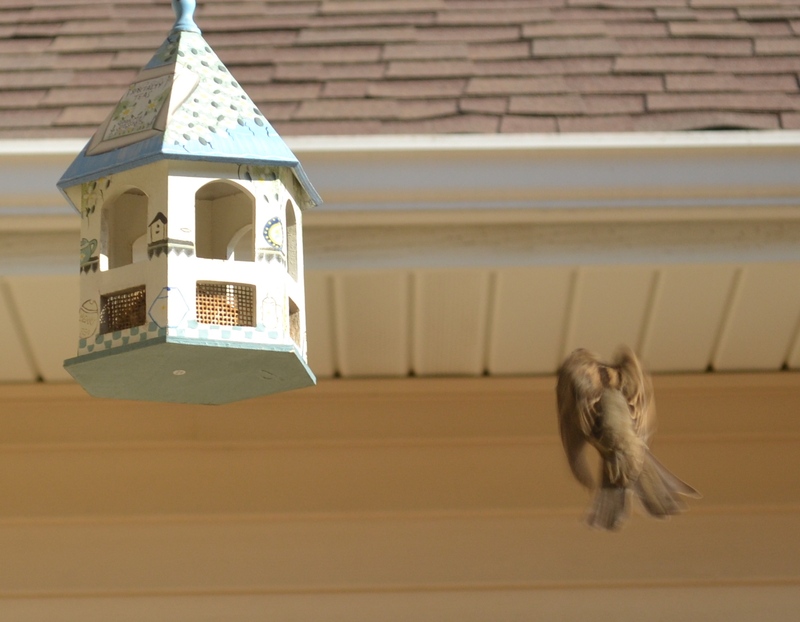 Let’s not forget the sparrows. God counts us even more valuable! Yes, He’s still watching over you. I’m His witness. Take a look out the window or a walk in nature. View photos of God’s marvelous creation. Signs of God’s love, His goodness, and His faithfulness are all around us. And His heart is bursting with love for you! “He never presses something on our hearts if He doesn’t mean it.” I needed to hear this. It is very profound. THank you Trudy. Such wonderful pictures! 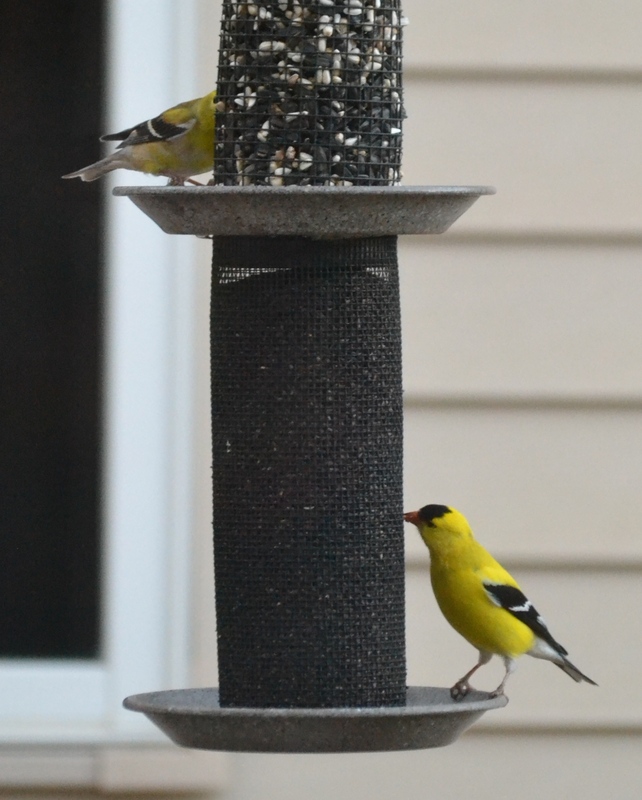 Seeing birds always remain me that God provides. He’s so very gracious that way! Amen, Trudy! It’s so hard to remember that God is still with us, when we can’t see Him or feel His presence. But yes, He doesn’t change and He doesn’t move. Not only is He still there, but He still loves us … delights in us! Hope you are feeling better this week my friend! 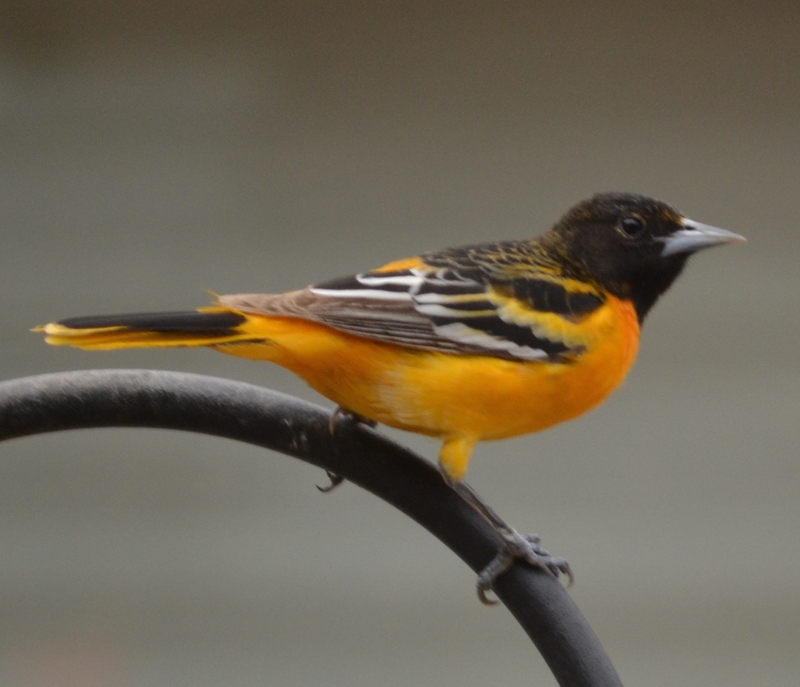 Oh, I love the pictures of the birds, especially the Orioles…so vivid and beautiful! Gods promises are yes and Amen! This is lovely & uplifting! Thank you for sharing! 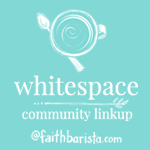 I finally made it over here after you mentioned this post in your comment at Crumbs. Amazing photos! 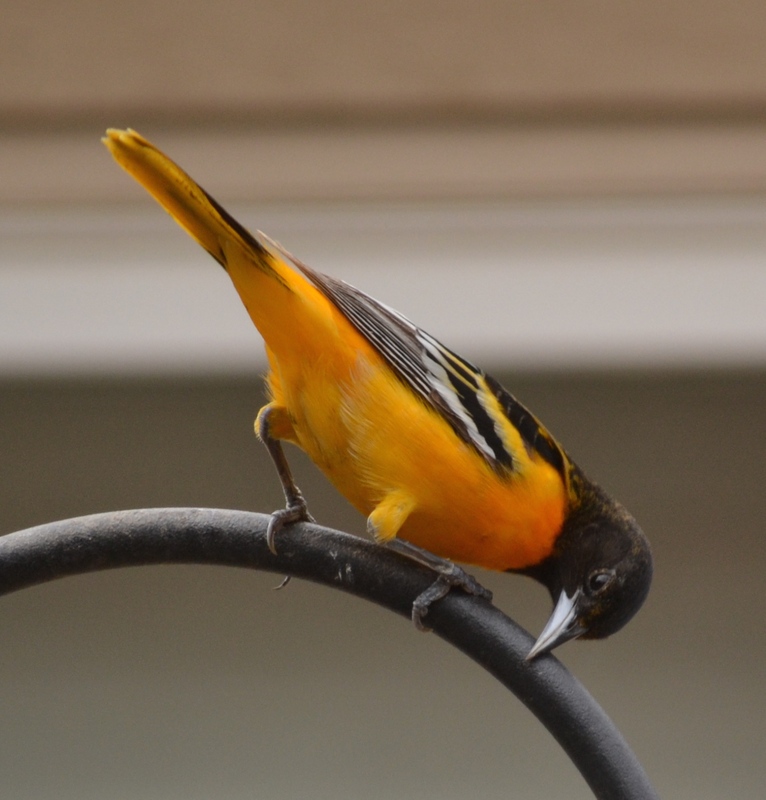 I’ve never seen a Baltimore Oriole before. Stunning reminder of God’s love and kindness to send tokens of His affection. This quote spoke especially to me: “I am trying to find my footing on His immovable character of goodness and love, not in my faltering feelings.” Me, too, Trudy. Me, too. May the Lord give you strength, grace, and peace for whatever His providence appoints for you today.